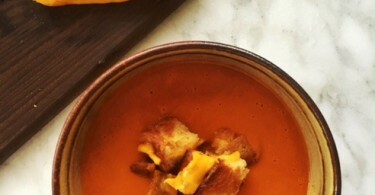 I am so thrilled to introduce Amie’s new book to you and share this recipe for her golden bell pepper soup. 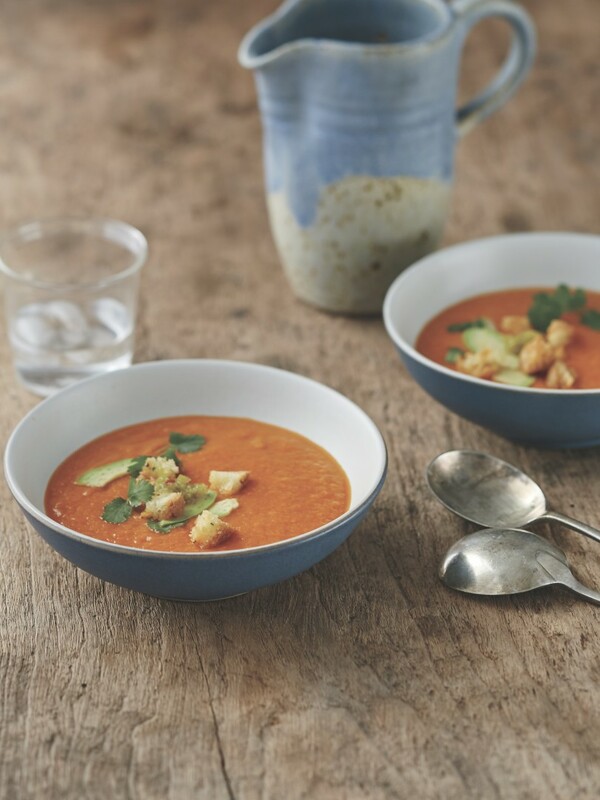 Eating Clean is a comprehensive guide to detoxing your life. It outlines the journey of how Amie healed from a decade of chronic illness and is filled with over 200 detox-approved plant-based recipes free of gluten, dairy, soy, refined sugar, eggs, corn and processed ingredients. I met Amie shortly after I began writing this blog and we became fast friends. 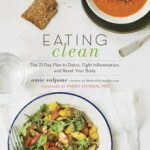 I love her website, The Healthy Apple, and more importantly, I admire Amie so much. 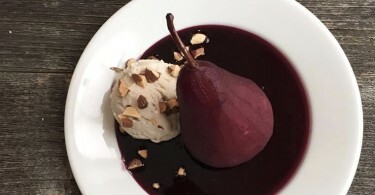 She is a generous friend, a passionate fellow foodie and someone who has overcome many health issues at a young age with an incredibly positive and tenacious attitude. I feel blessed to know Amie and continue to refer so many who struggle with similar issues or who have been advised to reduce toxins in their diet and lifestyle to her for guidance. There are many reasons to detox. 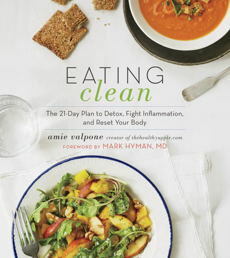 Eating Clean explains how and why to do it and then sets up a 21-day plan that is extremely doable and includes Amie’s delicious recipes. Amie is, after all, a personal chef in addition to being a culinary nutritionist so she works hands-on with clients to make clean eating a daily reality every day. If healthy, clean eating and living is your goal and you would like to make it a reality, I highly recommend you check out this book!